Let’s play pretend for a minute: imagine yourself shopping for new clothes. 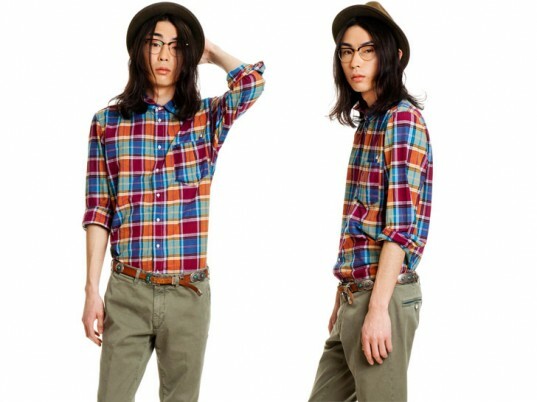 You find the perfect top at a retail store near you, buy it, and wear it to your dinner date that night. A woman at the table next to you asks you where you got it. It turns out, she’s wearing the same label, too. What’s missing from that interaction? The whole story. The people who were involved in the making of the piece. Individuality. What if there was a way to know the real story behind your clothes and even be an active member of it? The IOU Project does just that by using social media and smartphone technology to connect you with your garment’s journey. The Madrid company, which launched this month, is based on respect for the environment and the people who make the clothes you wear. Handwoven in Tamil Nadu in India and stitched together in Italy and Romania, each shirt, scarf, pant, and dress is assigned a unique Quick Response (QR) codes that unlocks photos and profiles of the weaver and tailor on your iPhone. You can even upload a picture of yourself wearing the garment for the artisans to see, closing the loop on the story. You can even upload a picture of yourself wearing the garment for the artisans to see, closing the loop on the story. Another way you can play a role in IOU’s tale? Apply to host a virtual trunk show. (A large social-media presence on Facebook, Twitter, and LinkedIn, as well as a sizable blog following, boosts your chances.) As an official reseller, you pick your favorites and put them in your virtual trunk for friends to browse and purchase. If someone does buy something out of your trunk, you get a commission from the sale. Clothes should be special, and IOU makes them that way. 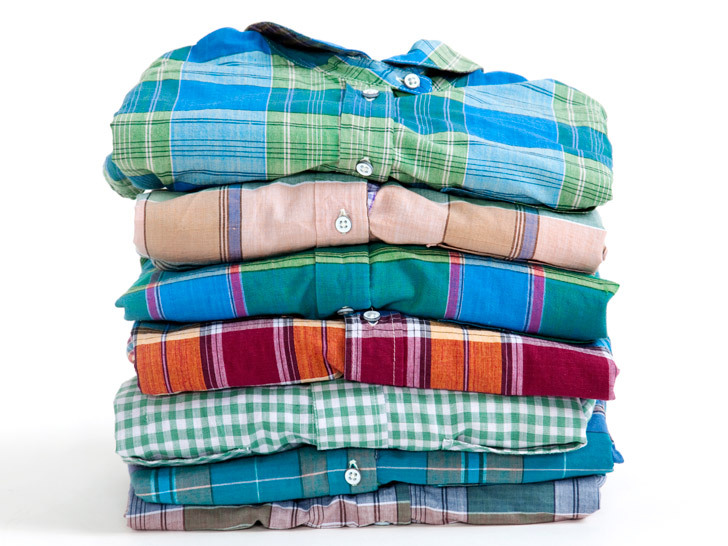 Because every garment starts with one particular handwoven Madras plaid, each piece is truly one of a kind. So host a trunk show or buy a shirt or scarf; you’ll not only get to express your individuality, but you’ll also be supporting the skill and creativity that goes into making something. We call that a win-win. Let's play pretend for a minute: imagine yourself shopping for new clothes.�You find the perfect top at a retail store near you, buy it, and wear it to your dinner date that night.�A woman at the table next to you asks you where you got it. It turns out, she's wearing the same label, too.�What's missing from that interaction?�The whole story.�The people who were involved in the making of the piece. Individuality.�What if there was a way to know the real story behind your clothes and even be an active member of it? The IOU Project does just that by using social media and smartphone technology to connect you with your garment's journey.